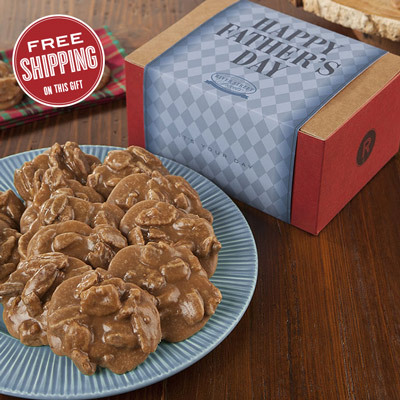 Surprise Dad with a taste of southern sweets this Father's Day! Forget the standard tie or even dinner out this Father's Day. 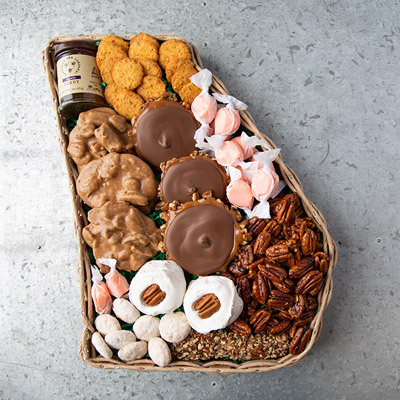 Instead, surprise Dad with something extra special - a handpicked Father's Day gift basket from River Street Sweets. 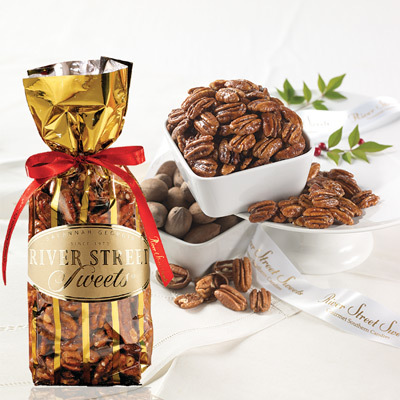 Known throughout the south for our handmade chocolate inspired delicacies, River Street Sweets specializes in fresh handmade Pralines, Bear Claws and Glazed Pecans. But that's not all we offer. 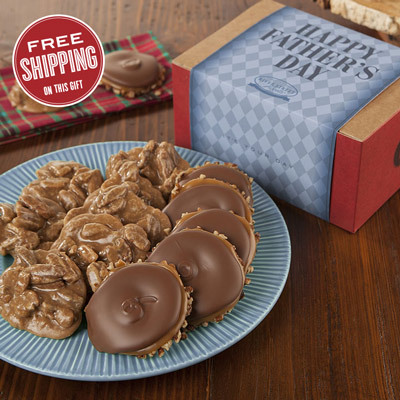 Anyone with a sweet tooth will enjoy our vast array of Father's Day sweets which includes several varieties of handmade peanut brittle, gift towers of confections, and more. 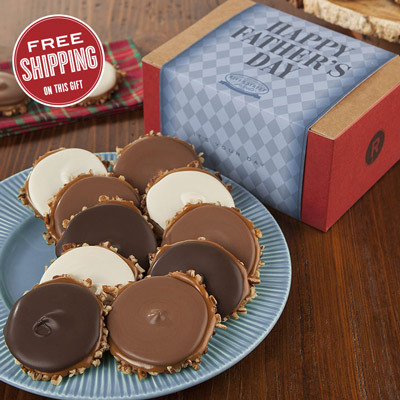 Offering an assortment of Father's Day gift box options, every guest can choose a unique gift for Dad on his special day. 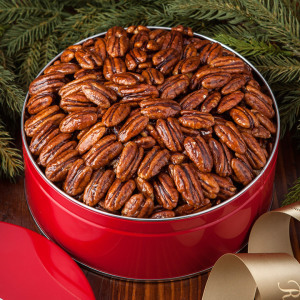 From a simple taste of our renowned pralines to a large boxed assortment offering up a sample of all our favorites, every gift box is handpicked at River Street Sweets, with each item chosen especially with the recipient in mind. 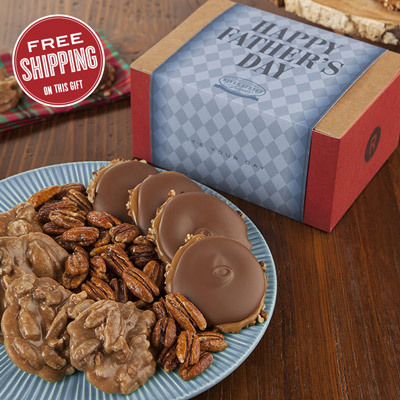 Whether you want to satisfy your special guy's sweet tooth with Father's Day chocolate made just for him, or simply want to offer a Father's Day gift box filled to the brim with his favorite nut candies, the specialists here at River Street Sweets are available to help you choose just the right Father's Day gift box . 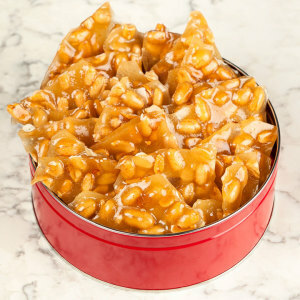 Known throughout the southeast for our handmade Southern candies, River Street Sweets now reaches customers everywhere. With online candy specialists available to assist you in placing your order, our confections can be shipped anywhere in the United States and abroad. Not sure what to order for Dad this Father's Day? Our customer service Live Chat is always available when placing an order online to make sure you get exactly what you want. And, don't forget that all of our Gourmet Southern Candies come with a 100% guarantee. 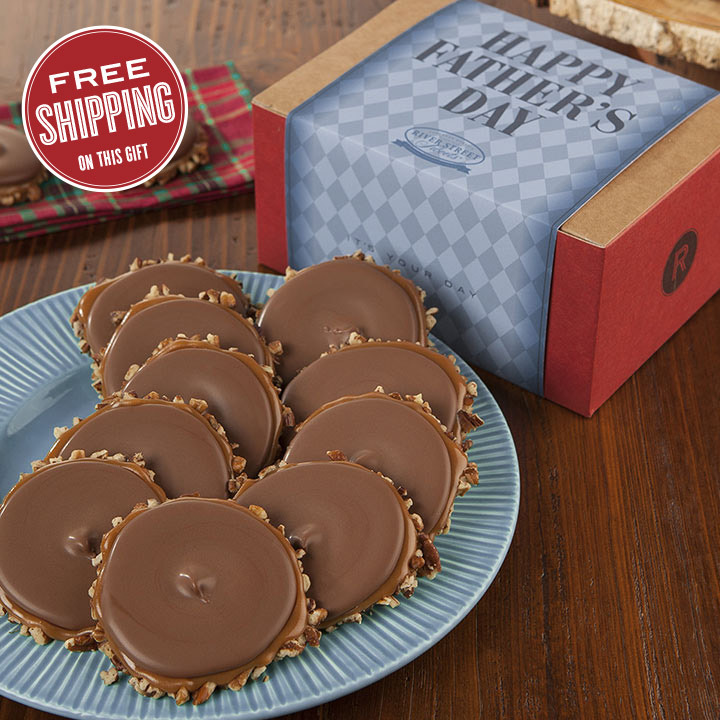 Doesn't Dad deserve something extra special this Father's Day? Give him a taste of real Southern candies. 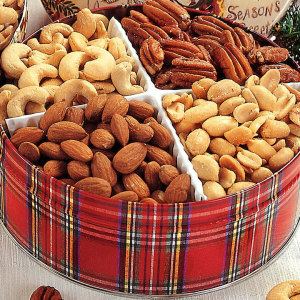 He will love any Father's Day Gift basket you send – and he will love you for thinking of him in such a special way!